NASA still plans to pluck a boulder off the surface of asteroid 2008 EV5, bring it to lunar orbit and send a crew of astronauts for a visit in about ten years. 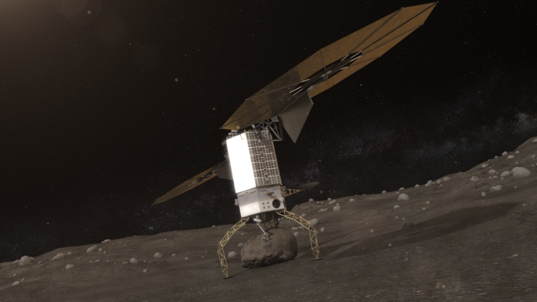 NASA’s current Asteroid Redirect Mission concept envisions a spacecraft grappling a small boulder from a larger asteroid. The ridge-bisected, 400-kilometer-wide asteroid is the "reference target" for the robotic portion of the agency's Asteroid Redirect Mission, ARM, and will likely become the actual destination unless a better candidate is found. The asteroid's orbit is roughly the same as Earth's, orbiting the sun every 343 days. "We do not envision changing this target, unless something comes up that is of more interest, or something happens unexpectedly," said ARM program director Michelle Gates. Other candidates previously up for consideration were Itokawa, which was visited by Japan's Hayabusa spacecraft in 2005, and Bennu, the target for NASA's OSIRIS-REx sample return probe, which launches later this year. "We actually selected this target given input from you all," Gates said, addressing scientists at a Small Bodies Assessment Group meeting in Monrovia, California. "We'd like to go to something we haven't been to before." EV5 last passed Earth in 2008 and won't return until 2023 or 2024. That means launching the retrieval mission in 2020 could get the spacecraft into lunar orbit for an astronaut visit by late 2025. The mission timeline dictates the size and mass of the boulder that will be returned. 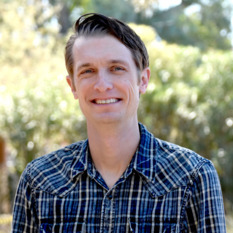 "In the timeframe we're talking about, launching the robotic mission and then the follow-on crewed mission, we're probably looking at a two-to-three-meter object that we can return," said Dan Mazanek, a senior space systems engineer at NASA’s Langley Research Center. "And our requirement is a 20-ton boulder to be able to bring back from the surface." Mazanek presented the results of a draft report authored by an ARM subgroup dubbed FAST, for Formulation Assessment and Support Team. The goal of FAST was answering high-priority questions about the asteroid and boulder environment, while identifying opportunities for scientific investigations. Mazanek said there were likely "hundreds to low thousands" of boulders on EV5 in the two-to-three-meter size range. The estimation was based on radar imaging, size distribution estimates derived from other asteroids, and laboratory experiments. Other challenges the FAST team investigated included the cohesion of the boulder with the asteroid surface, the risk of small pieces of the asteroid coming off and posing a risk to the robotic or crewed spacecraft, and whether or not the boulder would stay intact during pickup and transportation. The uncrewed ARM mission is currently in a concept and technology development phase. Gates said the mission could reach a project milestone known as Key Decision Point B in April, after which preliminary designs would be created. A contract for the vehicle's electric propulsion thrusters could be awarded in May. NASA's Jet Propulsion laboratory also announced that four companies would present studies for the spacecraft's electronic backbone, or bus. The companies in the running are Lockheed Martin, Boeing, Orbital ATK, and SSL. Para. 2: '400 metre' I believe....I was wondering how there could be a 400 km asteroid without a famous name! Great article.